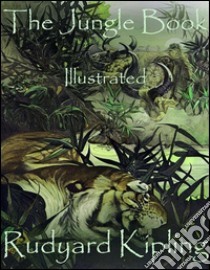 The Jungle Book: Illustrated (1894) is a collection of stories by British Nobel laureate Rudyard Kipling. The stories were first published in magazines in 1893–94. The original publications contain illustrations, some by Rudyard's father, John Lockwood Kipling. Kipling was born in India and spent the first six years of his childhood there. After about ten years in England, he went back to India and worked there for about six-and-half years.